Once in a great while, a game comes around that truly deserves a spot among the greatest of all time. Resident Evil 4 is one of those games. Even more than two years after its first release, Resident Evil 4 is still a delight to play, and somehow manages to grab you by the throat, even if you have already plunged multiple hours into it. Chances are, you've already enjoyed RE 4 on the Gamecube or Playstation 2, or maybe even on the PC. So why should you bother trying it out on the Nintendo Wii? I mean, you've already beaten it once (or multiple times), and you have seen everything there is to see, right? Wrong. The bottom line is that the Wii was made for games like RE 4. I wouldn't be half surprised if the developers already KNEW about the Wii and its intuitive controls while they were developing the game. It works that well. 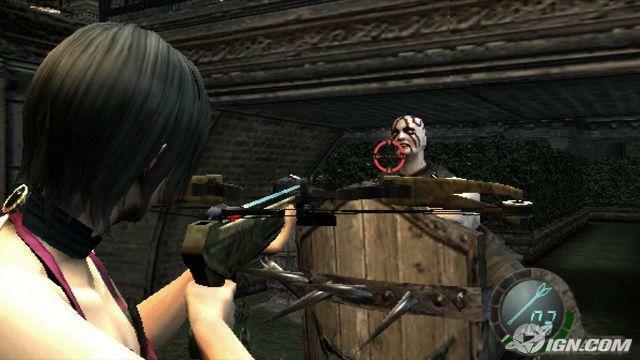 Those familiar with the previous RE 4 controls will only need 15 minutes or so to get acquainted with the new controls. The actions used most are extremely convenient with the layout of the Wii remote. Running is done by holding down the Z button on the nunchuk, and turning around is as simple as pressing the Z button and down on the nunchuk. Firing and reloading are all done using the Wii remote, allowing for moving and shooting to all be done with different hands. It sounds simple, but this creates an even easier control scheme than before. 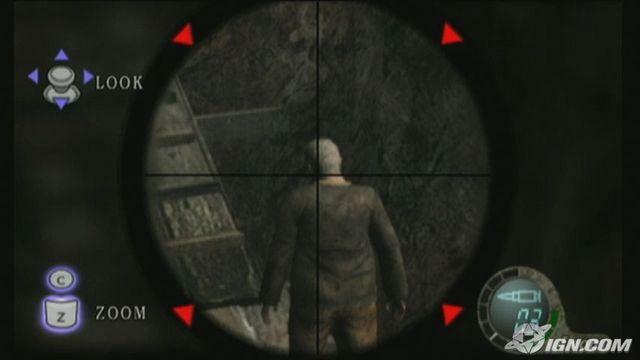 Reloading feels similar to that of light gun games such as House of the Dead. Instead of pressing a button, a simple shake of the Wii remote while in aiming mode will do the job. This makes the sequence of aiming, firing, and reloading much smoother. It'll be interesting to see how the game's control might change when Nintendo's new Zapper gun add-on comes to light this year. Using the knife has also been made much easier. Now, all you need to do is quickly swipe your hand using the Wii remote. Also, a new auto lock-on feature has been added to the knife, so you automatically swipe at the nearest object--whether it be a hostile enemy, or a item-containing barrel. Once again, a small change, but it makes the game flow much better not having to look right at the object you are trying to break with your knife. 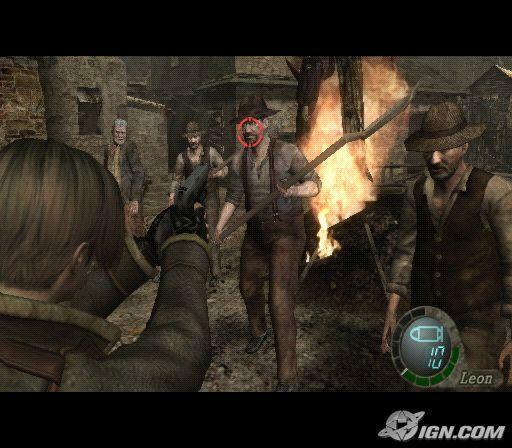 In addition, the use of the Wii remote during the interactive cutscenes feels much more natural because of the actual action you are performing. Before, you needed to rotate the thumbstick or press alternating buttons; now, most of the control is done by quickly shaking the Wii remote back and forth -- when you're trying to escape the deadly clutches of El Gigante, this feels as natural as can be. Because the Wii is so similar to the original Gamecube graphics-wise, the game still retains its amazing visual style. Because of this, the visuals are much better than the previous PS2 version, which used pre-rendered cutscenes. Bottom line is that this game may not look as good as many PS3 or Xbox 360 games, but in my opinion, the environments are still near-perfect. The music and sound effects are just as good as in previous installations -- scary as all hell. Now, you probably know that the game itself really isn't all that scary. It's the environment that changes things. Running down a dark corridor, only to be shaken by the cries of "¡Mátalo!" (Kill him! ), and "¡Te voy a matar!" (I'm going to kill you! ), to name a few, accompanied by a dark shift in the music, really sends a shiver down your spine.. You are able to faintly hear the enemy sneaking up behind you, and the spot-on weapon, flame, and water effects only add to the environment. In the end, the replay value in RE 4 for me is nearly never-ending. The main story will net you somewhere between 10-15 hours of gameplay, not including the extra missions included featuring the lovely Miss Ada Wong. I was skeptical about purchasing the Wii version, because I have previously completed the game 3-4 times on both the Gamecube and PS2 versions. However, after completing almost 4 chapters of the game and over 3 hours of holding the Wii remote in my hand, I realize how far off I was. The story is one worth revisiting over and over again, and somehow I still find myself wanting to push on...despite the fact that I might know what is around the next corner. What else to say? Although the other versions may not have the allure of the original Gamecube version, the bottom line is that if you haven't enjoyed RE4 yet, this IS the version to get. This copy contains the original graphic style and progressive scan capabilities of the Gamecube version, and the additional missions and wide-screen displays of the PS2 version. It truly is the best of both worlds. Plus, at only $29.99 brand new, it's a steal in my opinion. So, if you happen to have the chance to pick this game up, it will obviously be for under $30, and more than likely a used copy will run you less than $25. Think twice about turning the other cheek and walking away from it. Hell, even stroll down to your nearest rental store and give it a shot. You'll realize how much you've missed popping all those possessed villagers in the head...I know I did. 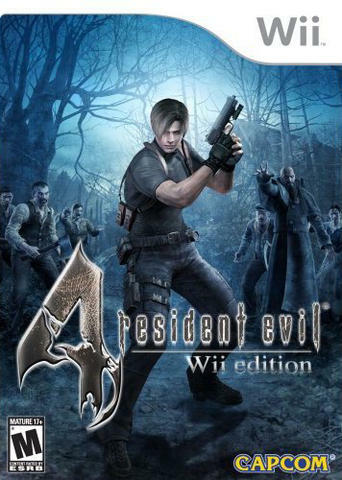 C'mon--give your Wii some RE4 lovin'; it'll definitely thank you for it.